Paul Merson is backing Manchester United to secure a 3-1 win at Newcastle United on Wednesday night. 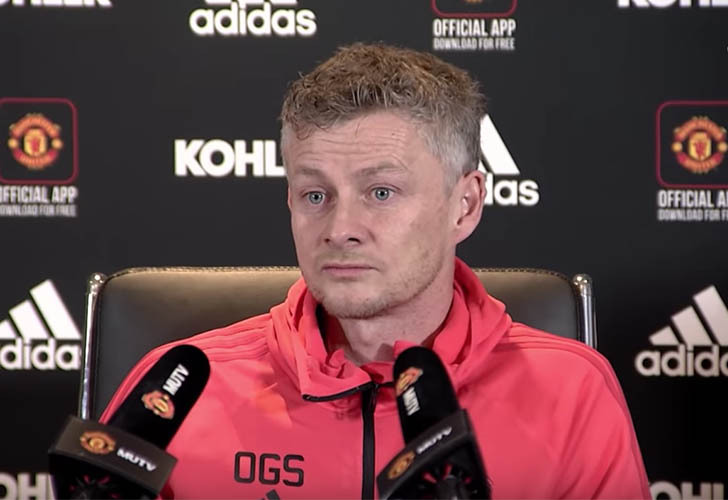 The Red Devils look like a new team under interim manager Ole Gunnar Solskjaer since the former Norway international took over the reins of Manchester United last month. Manchester United eased to a 5-1 win against Cardiff City and a 3-1 victory over Huddersfield Town in Solskjaer’s opening two games in charge of the Old Trafford outfit. The 20-time English champions extended their winning run to three games when Manchester United beat Bournemouth 4-1 last weekend to move to within three points of fifth-placed Arsenal. Manchester United failed to win at St James’ Park in the Premier League during Mourinho’s two-and-a-half seasons at the Red Devils. Newcastle were 1-0 winners against Manchester United last season thanks to Matt Richie’s 65th minute goal. Former Arsenal midfielder Merson believes Solskjaer will mastermind another win for Manchester United when the Red Devils take on Newcastle on Wednesday night. “We’re watching Manchester United again,” Merson told Sky Sports. “I don’t think they were that fussed before. To turn it on like they do now, Paul Pogba’s scoring goals in the six-yard box – I’ve not seen him in there since the start of the season. Is the manager saying don’t do that? Jose Mourinho’s one of the best managers in the world, surely you don’t tell a player not to play. “They’ve got freedom, Nemanja Matic has passed the ball forward more times in the last three games than I’ve seen him do even when he was at Chelsea. Everyone’s willing to make runs without the ball and it’s refreshing. “Newcastle will put 10 behind the ball, it’s as simple as that, they’ll try to play for a 0-0 and a set play. If they open the game up, I dread to think what the score will be. Mourinho left Manchester United in sixth spot and 11 points behind fourth-placed Chelsea FC after a 3-1 loss to Liverpool FC at Anfield last month. However, Solskjaer has revived the club’s ailing fortunes following three successive Premier League victories. Manchester United are in sixth place in the Premier League and eight points behind Chelsea FC, who occupy the final Champions League qualification spot.